Thanksgiving is days away and our bellies are primed and ready to be filled with as much turkey and side dishes as they can handle this Thursday. While many of us celebrate Thanksgiving in different ways, have you ever wondered what a seasoned BBQ pitmaster would do for the holiday dinner? 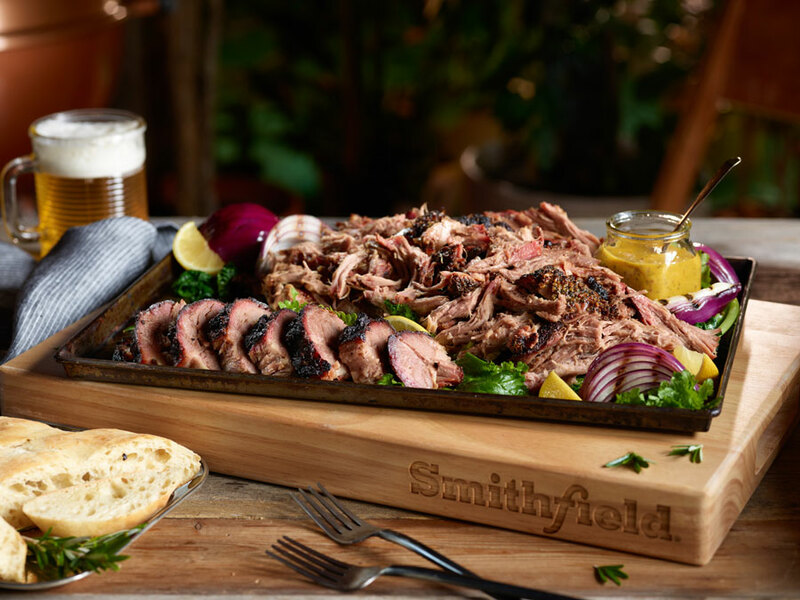 We spoke to Smithfield pitmaster BBQ luminary Tuffy "The Professor" Stone to see how he would tackle the much-anticipated holiday dinner. The esteemed champion pitmaster has 41 grand championships and 5 world championships under his belt, so we already know he can turn proteins into something unforgettable. The most important thing he stressed, when cooking a Thanksgiving meal for your loved ones, is to plan ahead. 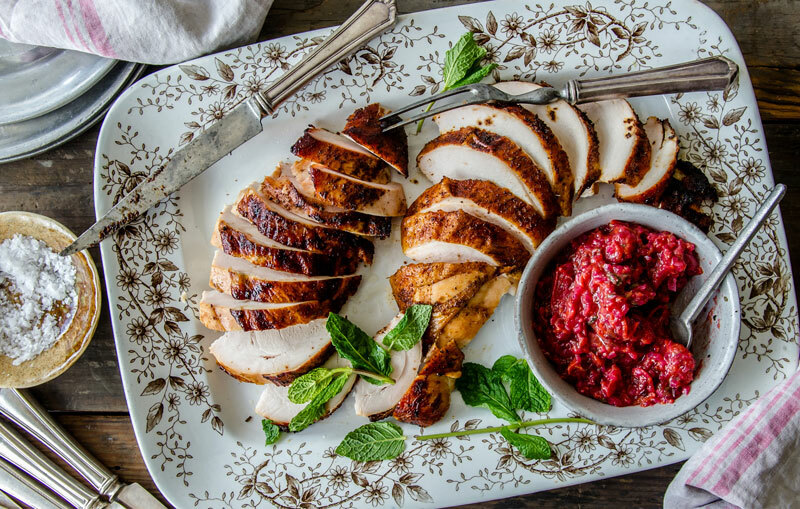 Create a menu that you know you can handle, and prepare as much of it as you can in the days before Thanksgiving. That way, all you will have to do is throw your dishes in the oven come dinner time and focus on the turkey and family. 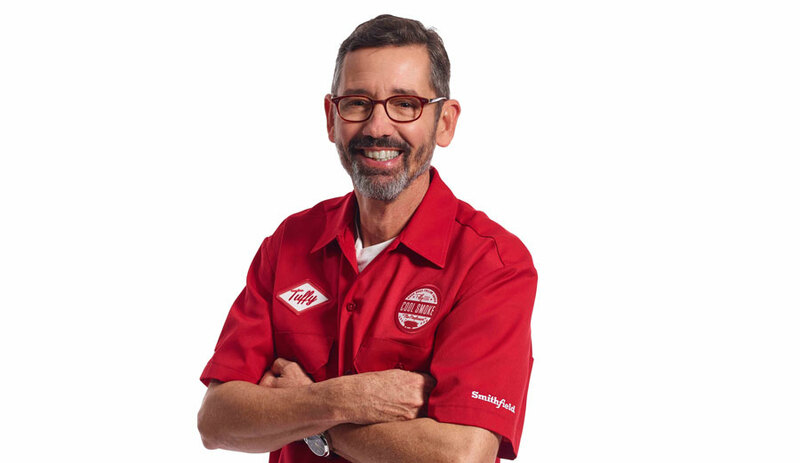 Once you have your menu prepped and planned, here are some additional mouthwatering details we learned from the world champion BBQ expert. I cook the turkey so it's about 165 degrees and let it rest for 20 minutes. Then, I'm going to take my knife and cut the thigh and the leg and separate them at the joints. I take the two drumsticks and put them onto the platter. I take the thigh meat, I'll let it rest a little bit more and then I'll cut the meat from the bone, trying to keep skin on each piece. Then, I'll take my chef's knife and, on one side of the breastbone, I'll slice downward and carve that breast meat off of each side. Once I have the two breasts removed from the turkey, I'll slice them across the grain leaving skin on each slice of the breast. Then, just fan out the breast meat positioning your turkey meat in a way that looks like the whole bird is on the platter. While Tuffy admits he's never deep-fried a turkey before, he did have some advice on the practice to keep from burning the house down. First you have to set up the fryer in a safe and level area, keeping children and pets away at all times. Be sure to use oven mitts and have a fire extinguisher nearby. Make sure there is no ice inside the cavity of the turkey. Use a fryer thermometer to keep an eye on the temperature of the oil. You should have about 4-5 gallons of peanut or canola oil in a 30-quart pot. Once the oil is hot and ready, cook the turkey at 350F for 3-5 minutes per pound. You can brine the turkey overnight to infuse flavor. Cook the turkey until it's at 144-155F in the thickest part of the thigh. Once it's removed from heat, it will still continue to cook to about 165F. I am a sucker for garlic mashed potatoes with butter, sour cream, and chives with lots of gravy. You can peel the potatoes the day before and keep them refrigerated in a pot of water. Drain before cooking and re-cover with water. The gravy can be made in advance with chicken stock, if you want to get ahead. So what was Thanksgiving like for Stone and his family? Stone recalls family dinners in Virginia at his grandmother's house. My grandmother would have two bullet smokers going and she would have a couple of turkeys, or a ham, and inside she would be roasting a turkey as well. He recalls having about 20-30 people at these family events — plenty of mouths to fill with turkey. Now, the family function has been moved to his aunt's house. While everything is still about the same, everybody is bringing their own side dishes to the family event. Finally, Stone shares essential tips that every beginner level BBQ'er needs to know before firing up the smoker. Treat smoke like salt and pepper, and do not over smoke your meat. 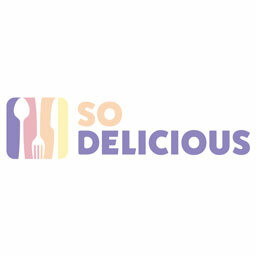 The flavor of the meat should be the star and the smoke and seasoning should be supporting complimentary flavors. Cook the meat until it is tender. No one likes tough barbecue, so cook it until it’s done. This can take time. 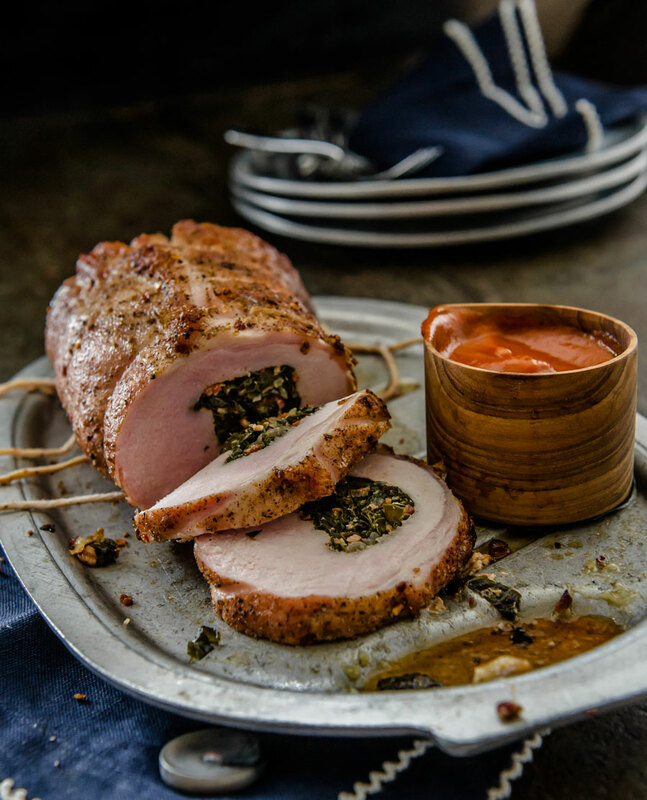 If your meat isn’t tender enough, but has cooked long enough to have a beautiful exterior color and enough smoke flare, wrap the meat in aluminum foil and return to the cooker – then continue to cook until tender. 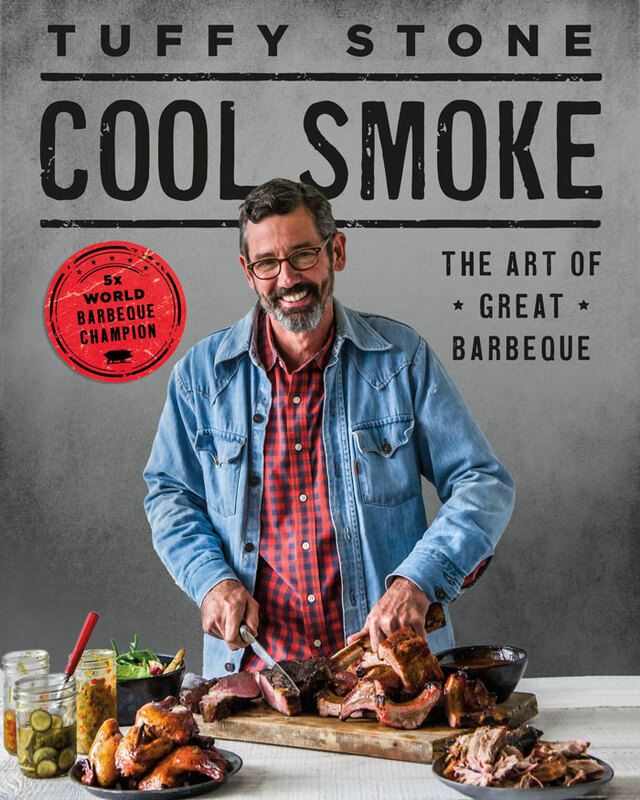 You can find Tuffy's new book, Cool Smoke: The Art of Great Barbecue, available at participating bookstores nationwide in May of next year. Who knows, this might make a great Christmas gift for the BBQ-lover in your life.